Khaled Hassanein, PhD, MBA, MASc, P. Eng. 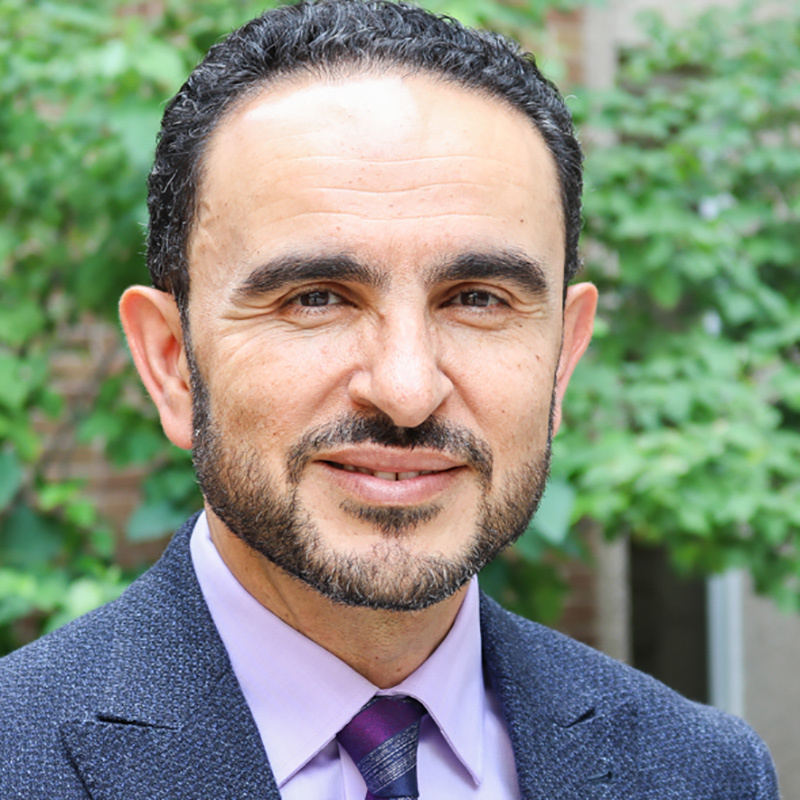 Dr. Khaled Hassanein is a Professor of Information Systems, Associate Dean (Graduate Studies & Research), and Director of the McMaster Digital Transformation Research Centre (MDTRC) at the DeGroote School of Business, McMaster University. His interdisciplinary research interests span the areas of digital technology adoption of e-Commerce, m-Commerce, and e-Health applications; human computer interaction; decision support systems including data analytics; and Neuro-Information Systems. His research has been supported on an ongoing basis through funding from federal (SSHRC, NSERC, CFI), provincial (ORDCF, ORF-MRI) and private sector sources. This funding was used to mount an active research program involving collaboration with colleagues and graduate students. Since returning to academia in 2000, he has supervised, co-supervised or is currently supervising over 50 students and post-doctoral fellows. To date, his research activities have resulted in over 100 peer-reviewed articles in academic journals, conference proceedings, and books. At DeGroote, Dr. Hassanein has served as Chair of the Information Systems Area (2007-2015), and Director of the McMaster eBusiness Research Centre (2005-2016). He has also served on several major university committees including as Chair of the Task force on the Alternative Budget Model (Phase II) and currently serves as McMaster’s SSHRC Leader. Dr. Hassanein is a senior editor, associate editor or editorial board member with several academic journals in the information systems field. Prior to joining McMaster, he was a Senior Research Associate with NCR’s Payments Solutions division in Waterloo, Ontario. There he led several advanced development projects related to the automated processing of financial documents and the data warehousing and mining of financial transaction using pattern recognition techniques. During that time he worked on joint projects with AT&T Bell Labs and established collaborative research programs between NCR and several universities in Ontario. He is a joint holder of several U.S. patents, a senior member of the IEEE and a designated Professional Engineer in Ontario. He consults with industry on areas related to his expertise. Dr. Hassanein has extensive teaching experience in the MBA, EMBA and Executive programs at DeGroote. He also has international teaching experience having spent time as a Distinguished Visiting Professor at the American University in Cairo, teaching at the EDHEC Business School in Lille, France, and delivering executive courses with the Ontario Centres of Excellence. Assadi, V. and Hassanein, K. (2017), “Adoption of Integrated Personal Health Record Systems: A Self-Determination Theory Perspective”, To Appear, Journal of Medical Internet Research (JMIR, Impact Factor: 5.175). Breward, M., Hassanein, K. and Head, M. (2017), “Understanding Consumers’ Attitude towards Biometric Identity Authentication”, To Appear, Information Systems Research (ISR, Impact Factor: 3.047). Laugesen, J. & Hassanein, K. (2017), “Adoption of Personal Health Records by Chronic Disease Patients: A Research Model and an Empirical Study”, Computers in Human Behavior (Impact Factor: 3.435), Vol. 66 (Jan.), pp. 256–272. Ghasemaghaei, M., & Hassanein, K. (2016), “A Macro Model of Online Information Quality Perceptions: A Review and Synthesis of the Literature”, Computers in Human Behavior (Impact Factor: 3.435), Vol. 55 (Feb.), pp. 972-991. Ghasemaghaei, M., & Hassanein, K. (2015), “Online Information Quality and Consumer Satisfaction: The Moderating Roles of Contextual Factors – A Meta-Analysis”, Information & Management (Impact Factor: 3.317), Vol. 52, Issue (8), pp. 965–981. Laugesen, J., Hassanein, K. & Yuan, Y. (2015), “The Impact of Internet Health Information on Patient Compliance: A Research Model and an Empirical Study”, Journal of Medical Internet Research (JMIR, Impact Factor: 5.175), 17(6):e143. Hassanein, K. (2016) “Is Data Analytics a Silver Bullet for Organizations?”, Transforming Data With Intelligence (TDWI) Toronto Chapter meeting, Toronto, Canada. Hassanein, K. (2016) “Impacts of Data Analytics on Organizational Performance: A Resource Fit Perspective”, University of British Columbia, Ottawa, Canada. Hassanein, K. (2016) “Impacts of Data Analytics on Organizational Performance: A Resource Fit Perspective”, Queen’s University, Ottawa, Canada. Hassanein, K. (2015) “Adoption of Electronic Personal Health Records by Chronic Disease Patients”, HEC Montreal, Montreal, Canada.